← Looking for a cool East Bay Ice Cream Truck Catering Service? Throwing a Corporate Shindig Gathering? Wedding? Baby Shower? 60th Birthday Party? Or a just because Ice Cream Social Partay? Let our San Jose & Bay Area Ice Cream Catering service turn your next event into an ice cream extravaganza! From set-up to clean-up, we’ll provide an awesome Ice Cream Catering experience for everyone to remember making your cream dreams turning them into a reality! We’ll provide a nice variety of different flavors for everyone to choose from where our ice cream trucks can serve anywhere from 10-12 different flavors…and where our ice cream carts can serve anywhere from 4-8 flavors. Just let us know when, where, and how many guest we’ll be serving & we’ll turn any size event into an ice cream party! 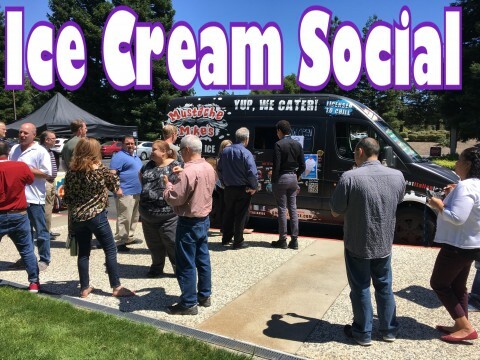 Although we’re based out of the East Bay/Contra Costa areas, we provide ice cream catering services throughout the entire San Francisco Bay Area. Whether your event is in San Jose, Walnut Creek, San Mateo or Alameda, we’ve got everyone’s taste budz’ covered. Inquire about having us cater for your next event!